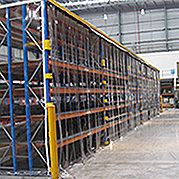 Covertex manufacture a range of PVC curtain systems to suit a variety of industrial applications. 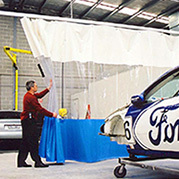 Our custom manufactured curtain and proprietary tracking systems have been installed into many of Australia’s leading manufacturers for diverse applications including wash bay areas, prep areas, spray booths, welding bays, climate control areas, clean rooms and as dividing partitions in large factory / warehouse areas. 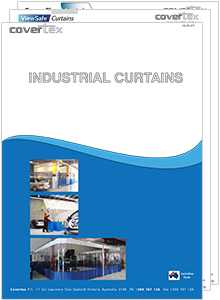 Covertex ViewSafe Curtains provide the ideal screening solution for a multitude of industry applications. Common uses of our partitions include integration with Wash & Prep Area Bays and zoned Climate Control & Cross-Contamination prevention. Covertex BlockOut Curtains provide the ideal partitioning solution for a multitude of industry applications. Common uses of these partitions include areas requiring Light Control, Privacy, Zoned Climate Control & Cross-Contamination prevention. 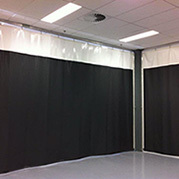 Covertex EconoClear Curtains are the flexible solution for a multitude of screening applications in the workplace. Common uses where curtains are often applied include dust prevention for stock / supplies & spray protection to washdown zones.